Has Amazon just changed the personalised shopping experience? 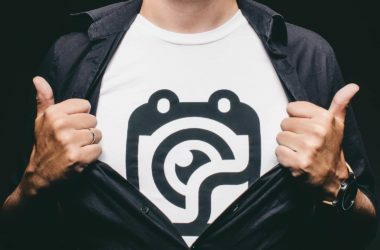 Working in the personalised clothing industry makes you aware that a personalised experience is often key to achieving high levels of customer satisfaction. From the clothing that people wear, to the way that they make their purchases, the world we live in is constantly adapting to the needs of the customers. Whether it’s personalised clothing or a simple weekly food shop, shopping online has a lot of appeal to customers. Ultimately it makes the whole shopping process easier. One of the biggest plus points is the fact that the lengthy waiting times in queues at supermarkets and other retail shops are avoided. Unfortunately, however, there are some positive aspects to visiting a a brick-and-mortar store which you can’t get by logging onto the internet to buy what you want. 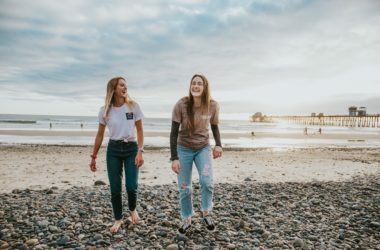 I know personally, I’ve spent many an occasion trying buy clothing online, finding the clothing I want, paying for next day delivery and then suddenly disaster strikes and I’m back on the website looking for ways to return the clothing that I’ve just bought. This could be for a number of reasons, faulty clothing or, worse, the clothing does fit. This can leave you panicking about what to do next and also regretting the decision to complete your purchase online rather than heading down to the high street to try on the clothing first before completing the transaction. Imagine if this could be avoided without returning home with aching feet from waiting in long queues. Just imagine, removing those long journey’s and even longer queues that you often face on a Sunday while buying your weekly shop from the local ASDA supermarket. Think about it at this time of year, avoiding the mad Christmas rush while still being able to actually, physically see what you’re buying. I mean, isn’t this the dream, to pick your items, view them, put them in your bag and then walk out without breaking the law? Imagine not having to wait at the checkout for a shop assistant to scan your items, no inserting your card into machines that are often slow. That’s the dream, a simple, quick and efficient experience. Until now, simply putting an item into your bag and then walking out the store sounds an awful lot like shoplifting. However, for those of you who have dreamed about doing this without risking ending up in the back of a police car, I have some very good news for you. Amazon has officially changed the game when it comes to offline shopping. It’s not uncommon for Amazon to change the way that we do things. If you cast your mind back, they made it easier for us to buy, download and read books thanks to the Amazon Kindle and their online bookstore. Amazon has continued to succeed, daring to go where others dare not as innovators. However, they’re not set to stop just yet. Instead, they’re looking to grab some more of the market share but this time by innovating the way that we shop in the physical world. 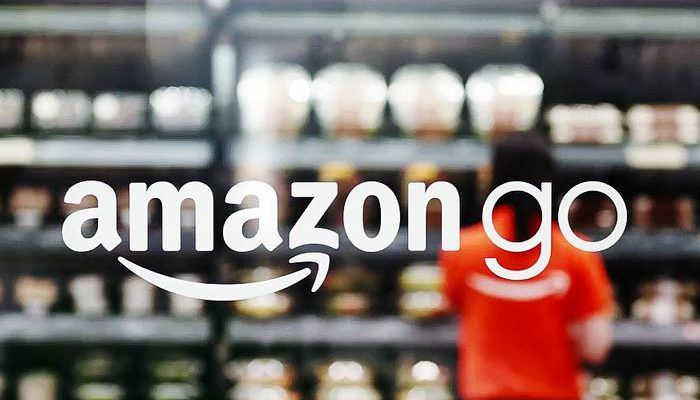 Thanks to their latest innovation, Amazon Go, customers can now simplify their shopping experience and complete their in-store purchases as quickly as you could online. Say goodbye to the five-minute dash to the shop on your lunch break which more often than not takes longer than expected and results in, to put in simple, a lunch break without time for lunch. Instead, you simply walk in, pick up what you want and then leave. 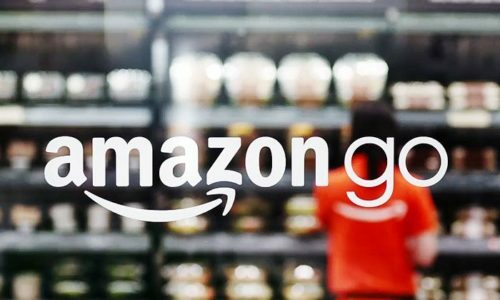 Experts in the field of retail have all agreed that the concept behind Amazon Go will very likely become the future of retail. Unfortunately, however, currently there is only going to be one location where you can take advantage of the service and, unless you live in Seattle, USA, you’re going to be disappointed. However, residents of Seattle, don’t get too excited just yet because, for the time being, this project is in it’s BETA testing phase and that means that it’s only available to Amazon employees. In addition to this, the app is only designed to work on a certain amount of perishable products such as bread, cheese, milk, etc., and a few pre-made snacks and fresh meals. However, this isn’t a reason to abandon all excitement in the service. Amazon Go shops have a very real chance of dominating the shopping experience in the coming years. In fact, the plans are currently to open the service to the general public next year (2017). So, how will Amazon Go actually work? The whole process of Amazon Go shopping is fairly simple. In order to use the service, you simply have to download the Amazon Go app on your smartphone and then log into your Amazon account. With the app installed and ready, enter the store and then, hey presto! Your shopping experience has instantly begun. Once you’re in the store a simple tap on the turnstile will automatically log you in to the stores network and it will begin logging your purchases in a virtual basket as you choose them. Unwanted purchases are avoided due to the fact that, if the item is returned to the shelf, the app recognises this and it’s then removed from your virtual basket. Once you’ve made your final decision, you then simply need to leave the store and this will complete the purchase. The app will recognise that you’ve left and you will automatically be charged the total amount to your Amazon account, meaning no queues and no waiting for a card machine to process the payment. At the moment, Amazon is remaining pretty tight-lipped on how this will work behind the scenes. They’ve decided instead to bamboozle us with a few select buzzwords such as: ‘computer vision’, ‘sensor fusion’ and ‘deep learning’. All of these refer to technologies that have come to the forefront of industries over the past few years. Computer vision experts and retail technology specialists have all agreed that, in principal, the system that Amazon is advertising is definitely plausible – even though the current technology is limited in terms of artificial intelligence, RFID technology and machine learning technology. According to the same source, Amazon’s latest innovation will literally change the entire game for the retail industry. One thing is for certain, when Amazon Go is released (touted as being in February 2017), it will bring the convenience of shopping online to your offline shopping and promise to change the shopping experience for every customer – forever.